Enjoy the best of two dessert worlds with a crowd-friendly recipe for Chocolate Chip Shortbread Brownies. Shortbread, meet brownies. Brownies, meet shortbread. 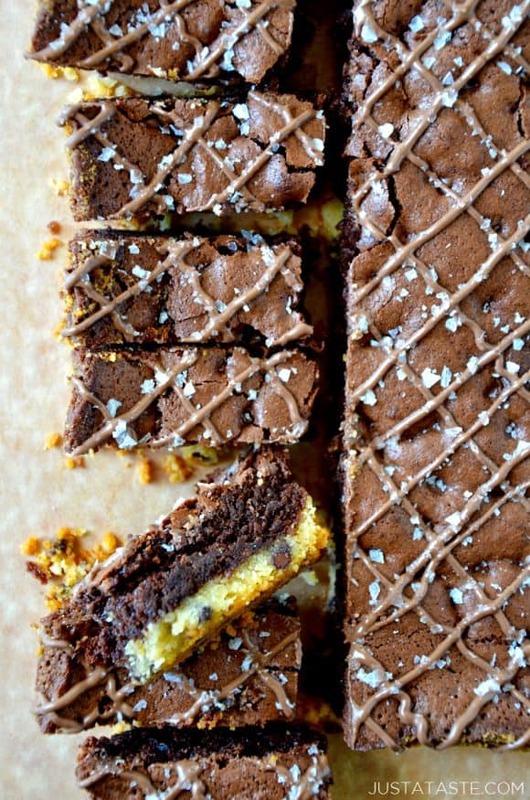 This two-in-one dessert stars a buttery, chocolate chip-studded shortbread base that’s topped off with a fudgy brownie batter. The duo is guaranteed to give my go-to confection some serious competition in the chocolate desserts department. 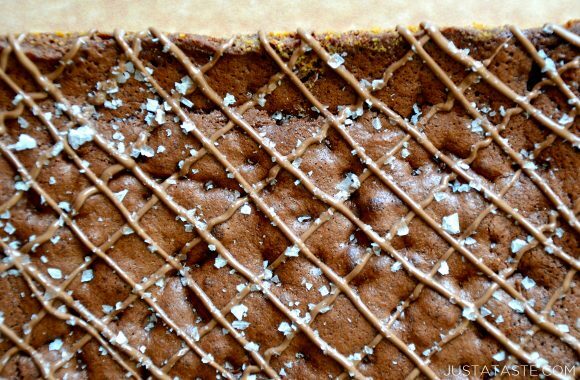 These shortbread brownies get an extra nod of indulgence thanks to a final drizzle of milk chocolate and a pinch of large-flake sea salt. While the savory touch may seem superfluous, can I ask you to at least consider that salt shower? 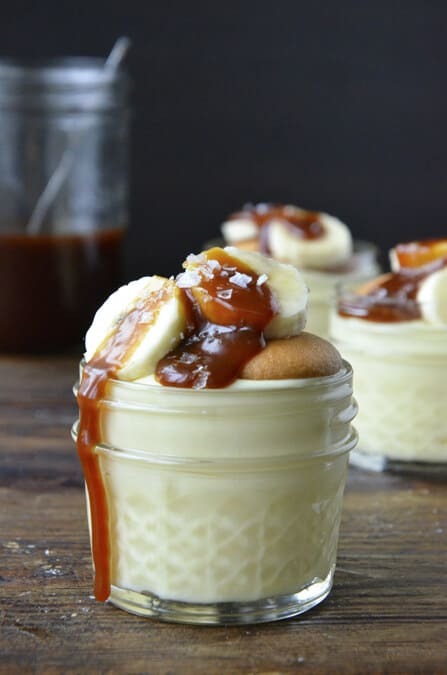 It’ll transform any ordinary dessert into something extraordinary. 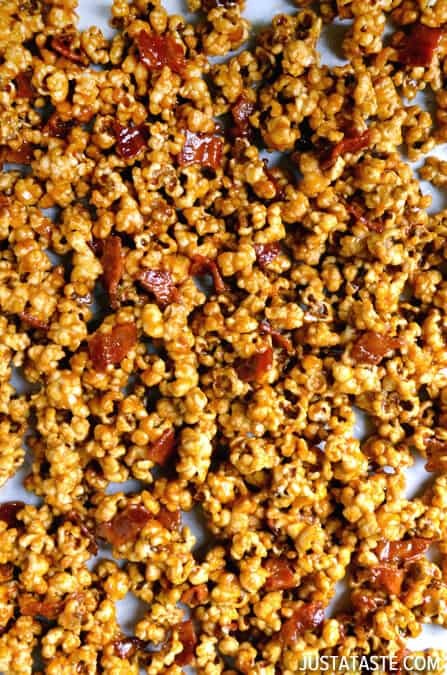 Keep the salty-sweet desserts coming with a few of my favorite recipes below. Preheat the oven to 350°F. Line a 9x9x2-inch baking pan with foil then set it aside. In a medium bowl, stir together the flour and the brown sugar then using your fingers or a pastry blender, cut in the butter until the mixture resembles wet sand. Stir in the miniature chocolate chips then press the mixture into the prepared pan. Bake the shortbread for 8 minutes then remove it from the oven. 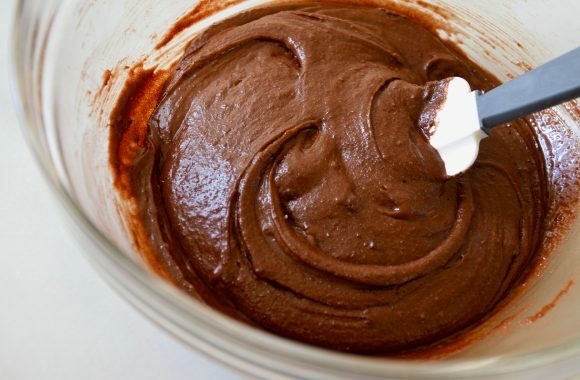 While the shortbread bakes, make the brownie batter. In the bowl of a stand mixer fitted with the paddle attachment, beat together the sugar, flour, cocoa powder, baking powder and salt. 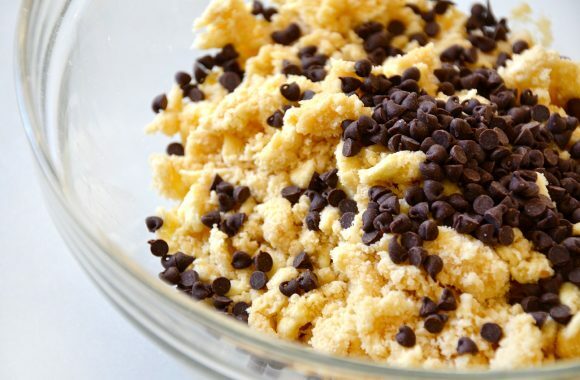 Beat in the eggs, melted butter, and vanilla extract until the mixture is smooth then stir in the miniature chocolate chips. Carefully spread the brownie mixture over the shortbread in the pan. Return the pan to the oven and bake the brownies for an additional 40 minutes. Remove the brownies from the oven then let them cool completely in the pan. 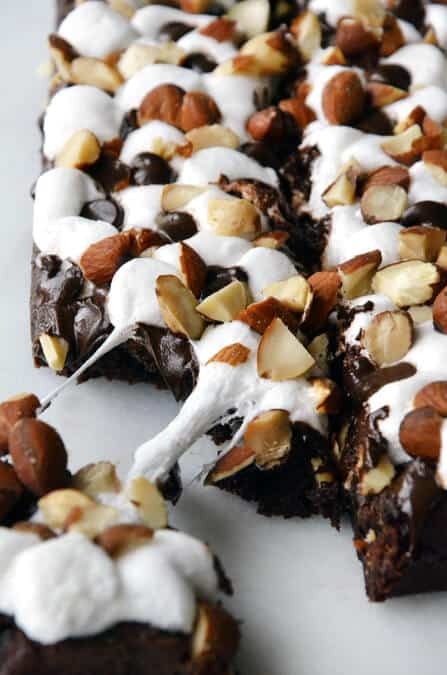 Using the foil, lift the brownies out of the pan and cut them into 24 pieces and serve.